French-Brazilian psychology graduate Catherine Collin is one of the many well-travelled individuals who, upon visiting Greece, instantly know it is the very place where they want to settle. First visiting Crete, and then Athens as a then dancer and fitness instructor (she has studied the authentic Pilates method under Joseph Pilates’ last teaching students in Paris and New York, where she also worked and practiced as an instructor), she fell in love with the Greek landscapes, people and… animals. An animal lover since childhood, she was impressed by how connected Greeks seemed to the creatures they lived amongst, “I recall when walking in Athens how people talked to strays, like if they were standing by them as they waited to cross the road it’s as though they were saying something like ‘you can cross the road by my side!’ Collin laughs. After years of having studied and received certifications in psychology, various aspects of physical wellbeing and then a variety of complementary therapies such as aromatherapy, reflexology, nutrition, mediumship and more, Collin began to experience a deeply holistic perspective of the world. This too connected her further to Greece and the ancient holistic philosophies of legendary medical teachers such as Hippocrates. One day she saw the documentary ‘The Animal Communicator’ made in 2012 about world-famous animal communicator Anna Breytenbach, who managed to tame a vicious black panther into a calm and happy creature through telepathic animal communication, and realized that this was exactly the next thing she wanted to learn about. 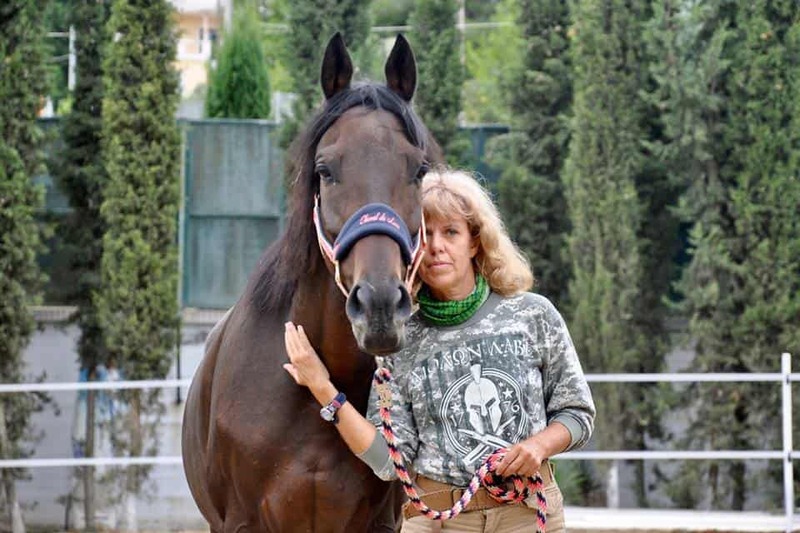 Dedicating several years to studying and practising communication with animals, working chiefly with horses and dogs in Greece and abroad, Collin has since last year started teaching Greeks this art and skill. “What I like to do in my courses is to explain to participants exactly how they can apply the laws of quantum physics to learn to communicate with animals. I have a very logical mind and need a very logical explanation for whatever I am learning,” says Collin, “and except that there have been so many scientific as well as non-scientific experiments globally, proving that animal communication works, I respect that the overall concept can feel confusing” Collin laughs. 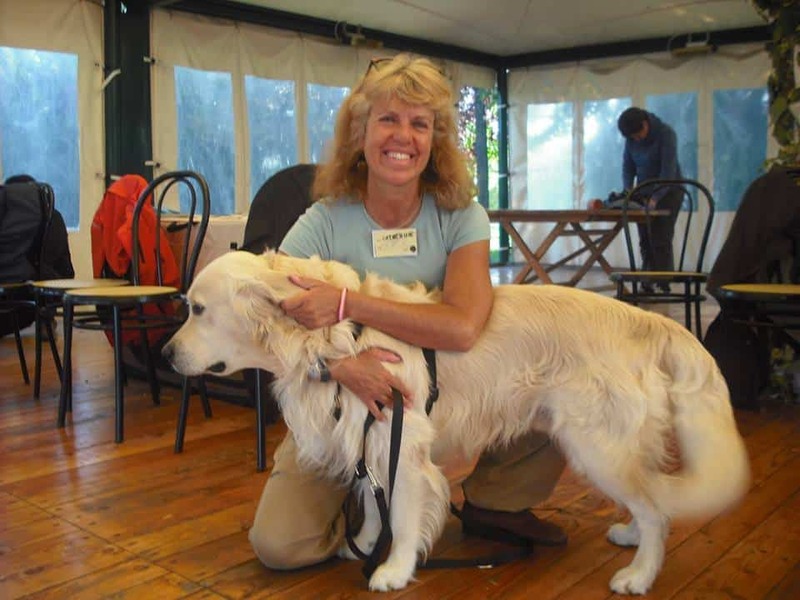 The courses aim to help people better understand the needs of their pets, animals in general and even their own self in how they relate to animals. Developing the skills can lead to a far deeper understanding of nature overall, and the world that we are born into. 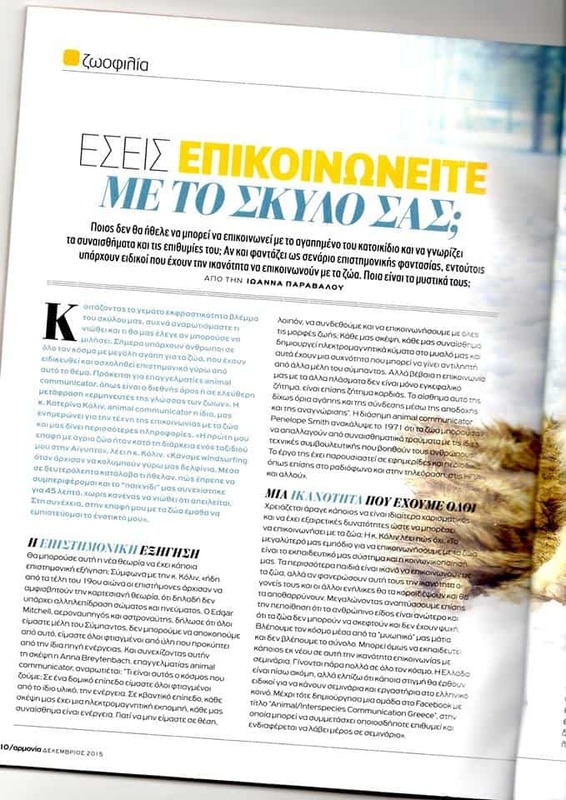 “Greek people today are becoming more and more sensitised to caring for animals and also understanding their therapeutic abilities,” she notes, “such as horses used for therapy, or caring for strays.” Thus it’s only a valuable and powerful step to better learn how to connect with them. 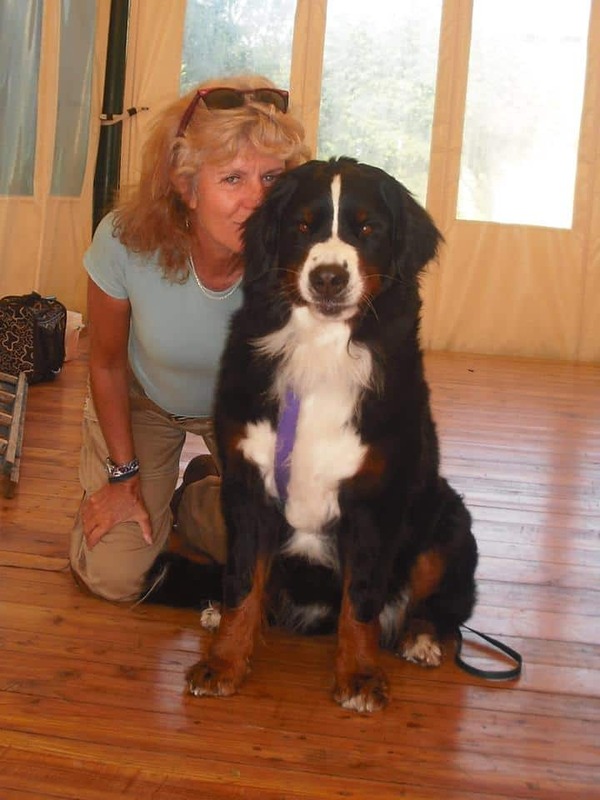 Last year Collin ran a seminar that was received with great enthusiasm by Greek and foreign residents in Athens, and this coming weekend, Saturday 9th- Sunday 10th she will be teaching Animal Communication in English (directly translated into Greek) at the Women For Life Centre (Grigoriou Xenopoulou 10, Neo Psychiko) at 09:30-17:30.